IVASHstudio/ShutterstockPrenups are contracts designed to prevent disputes about all marital assets, not just financial. 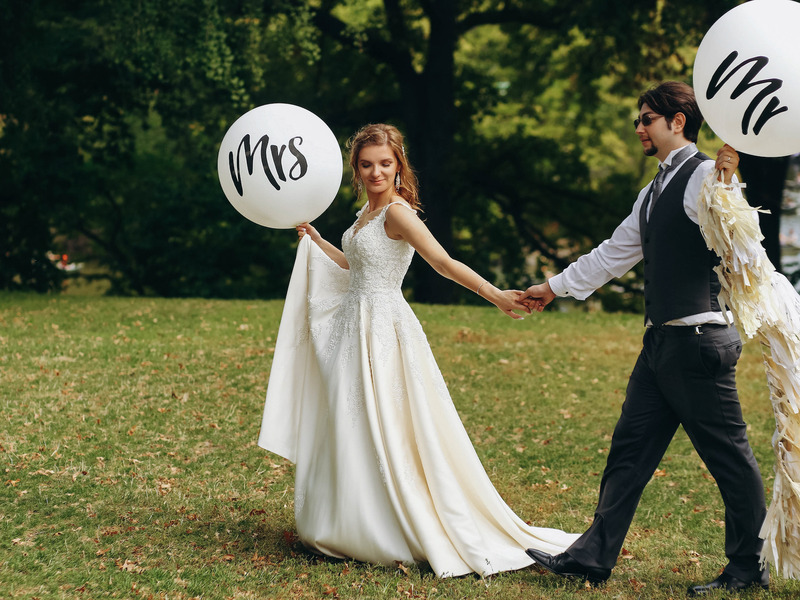 When you’re planning a wedding to the love of your life – especially if you’re a romantic – a prenuptial agreement is probably not your highest priority. But maybe it should be. Prenups have gotten such a terrible rap in pop culture that it’s no wonder people get cold feet just talking about them. Why would someone want to sign a legal document sealing their fate to get divorced? It’s this very mentality that invites misunderstanding. Here, we took eight of the most common myths associated with prenups and married them to the facts. Contrary to widespread misinformation, prenuptial agreements do not exist solely to protect piles and piles of cash. They’re contracts designed to prevent disputes about all marital assets, according to Nolo. This can include anything from a house to a pet. The prenup can determine things like future alimony payments (if any), division of assets among kids, and even which debt belongs to whom. Well, you can include anything you want in your prenup, but that doesn’t mean it will all be enforced. If a judge decides your contract is too one-sided or too unreasonable – for instance, it includes no provisions about child support, or it has stipulations about things like weight gain – the whole thing can be invalidated, according to divorce financial planner Jeff Landers. Not only is it not a good idea to enter into a prenuptial agreement solo, but in many states, each party is required to have his or her own legal representation. And even if separate attorneys aren’t mandatory, forgoing them may convince a judge to throw the prenup out of court. Worried that a prenuptial agreement will pit you and your future spouse against each other or be an omen for divorce? The opposite is actually true. In fact, 86% of mental health experts polled by relationship site YourTango said that prenups have “no predictable impact” on marriage. Here’s something you may not know: A prenuptial agreement is not only relevant in the event of a split. It can also determine financial expectations and lay the groundwork for an estate plan. Yes, prenups deal with the only other thing you want to think of less than divorce – death. If one spouse has more money and assets than the other, and the couple gets divorced, they are not entirely bound to the terms of the prenuptial agreement. Yes, the less moneyed spouse is only entitled by law to what’s agreed upon, but the more moneyed spouse is free to give more, Wilsher said. Generosity will not nullify the terms of the agreement. If you do decide a prenuptial agreement is right for your union, it’s best not to save it for the very last minute. No prenup is ironclad, and one thing that can invalidate it is coercion. It may sound sinister, but if one party can prove they signed the contract under duress, it can become null and void. If the prenup was signed days or even hours before the wedding, that could strengthen the argument that someone was coerced into agreeing to it. This one depends on how long you wait. If you wake up one day five years into your marriage and decide to get the ball rolling on a postnuptial agreement, any wealth or assets you’ve acquired in those five years since you exchanged vows is considered marital property – since there was no prenup deciding it isn’t. The process will then become more complicated, as you, your spouse, and your individual attorneys will have to hash it all out after the fact.